As Ellen Going immediately recognised, it’s a scapula and clavicle – which in itself tells us that it can’t be from a Carnivore or Ungulate, since they lack a well-developed clavicle. The open articulation with large acromial and coracoid processes and the symmetrical, blade-like scapula body suggest that this is an animal with a lot of movement in the shoulder, and reciprocal movement at that (hence the symmetry). This suggests a flapping animal, but without the extreme clavicle adaptation (i.e. the wishbone) seen in birds. 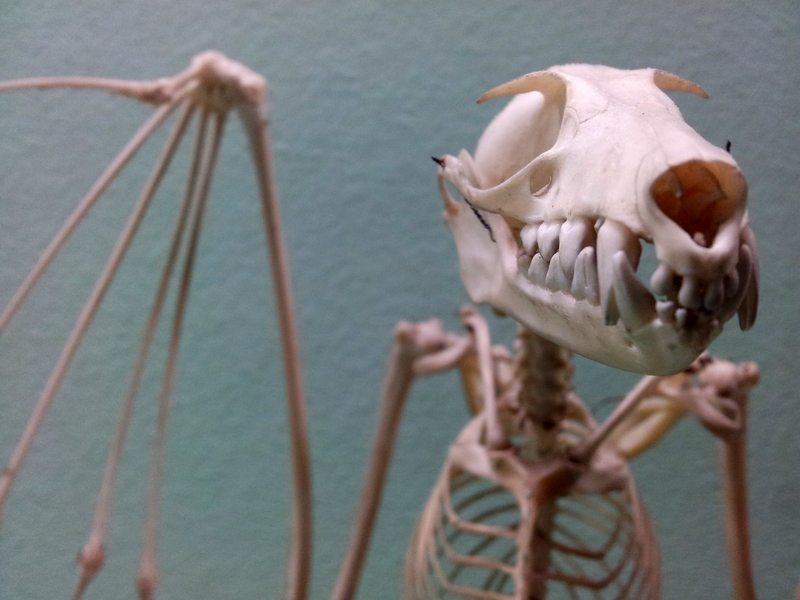 So as Flick Baker, Ric Morris and Joey Williams all realised, this is the shoulder and clavicle of a large fruit bat, in the family Pteropodidae. Good work! I have to be honest: I thought it might be a vampire bat.. Excellent! I always learn something on these! Thank you Paolo! And participants.